WASHINGTON -- Automakers will be required to install a tool on their Web sites to allow consumers to easily find out if vehicles have been recalled, under a U.S. rule released today. 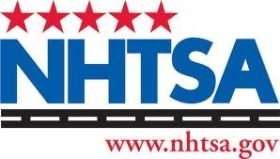 The National Highway Traffic Safety Administration will require all car and motorcycle companies to provide the online recall search tool by Aug. 14, 2014. Automakers will also have to make recall notices more explicit, in part by including the words "urgent safety recall'' in capital letters and an enlarged font at the top of the letter. The changes are designed to answer regulators' concerns that it is still too difficult for customers to figure out whether their cars have been recalled. They say the steps will give customers peace of mind about their vehicles and increase the number of recalled vehicles that are fixed. The completion rate hovers around 70 percent, NHTSA says, though it depends on the nature of the defect. "Safety is our highest priority, and an informed consumer is one of our strongest allies in that effort," Transportation Secretary Anthony Foxx said in a statement. The new search function will let car owners enter a vehicle identification number. Several automakers -- including Ford, Chrysler, Toyota, Honda and Volkswagen -- already offer that function on their Web sites. NHTSA already allows car owners to enter their car's make, nameplate and model year to see whether that model has been recalled. But in many cases, only a small portion of cars from a given model year are defective, making it harder for customers to figure out whether their cars are affected. Some automakers will need to redesign their Web sites. But even automakers such as Ford Motor Co. have questioned NHTSA on the change, saying the agency could post links to automaker Web sites rather than making companies submit the data to regulators. "Automakers can provide a one-stop digital storeroom for consumer information that the government cannot provide," the Alliance of Automobile Manufacturers, a trade group whose members include Ford, General Motors, Chrysler and Toyota, said in a statement. "Consumers go to automaker websites when they were looking to buy their car, so it makes sense to provide safety recall information on those same websites." Today's final rule was less stringent than NHTSA's original proposal. After automakers complained about the high cost of creating a new government database, the agency decided not to require automakers to submit updated VIN data to the agency daily. Honda had claimed that such a requirement would cost the company more than $40,000 per day -- or nearly $15 million per year. NHTSA still plans to set up an industrywide page on its Web site where car owners can enter VIN numbers to check for recalls. That system will rely on secure electronic transmissions of data from automakers' own databases. "We really do read the comments," NHTSA Administrator David Strickland told reporters and industry leaders during a speech today, after the release of the rule. "At the end of the day, we do have a common goal here." Envelopes must be marked with the phrase "safety recall notice," instead of any other phrase using a different combination of those three words. Automakers must customize each letter to include the VIN of the vehicle owned by the recipient of the letter. The envelope must be stamped with the logos of the U.S. Department of Transportation and NHTSA in blue or black text, with a statement in red text saying the letter is "an important safety recall notice issued in accordance with federal law."